If you’ve paid any attention to the headlines over the last year, you’ll know that cybercrime is on the rise and that organizations around the world have been victims. Threats are constantly evolving and becoming more sophisticated as cybercrime is profitable for those who perpetrate it. Phishing, hacking, ransomware, denial of service attacks can cripple a business or even destroy it. Affected businesses not only run the risk of losing money, but also reputational damage or could face legal action for failing to keep information secure. In order to be well-prepared for a cyber threat it is of enormous benefit to carry out a comprehensive security review of your information systems. This will enable you to identify if there are any vulnerabilities in place affecting data, your network, your server, applications and other infrastructure. A firewall is one of the first lines of defense in the event of a cyber-attack. By setting up a firewall you’re putting a barrier in place between your business’s data and the criminals who want to gain access to it. 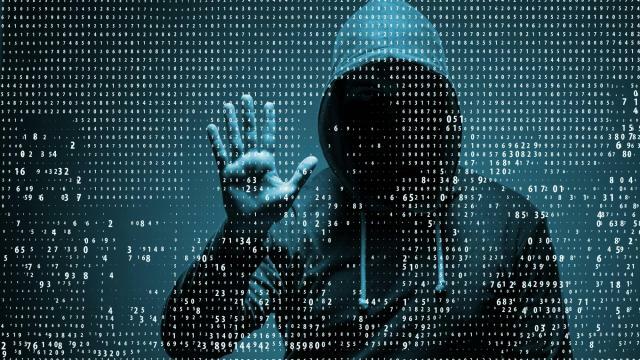 One of the most common ways for cyber criminals to gain access to a company’s data is through vulnerabilities and exploits found in older versions of software. It’s important that you update and patch software whenever software vendors release new versions. This might seem obvious, but many companies fail to back up data meaning that when the worst should happen, they have nothing to fall back on. Backing up data should be done regularly so your business can recover quickly if its systems are compromised. Staff are one of a business’ biggest assets most of the time. But can be one of its greatest liabilities too. A great number of cyber security breaches happen because staff have been careless. Educating your employees regularly on what types of threats to be alert to and what to do in the event of an attack can significantly reduce your risk in this area. 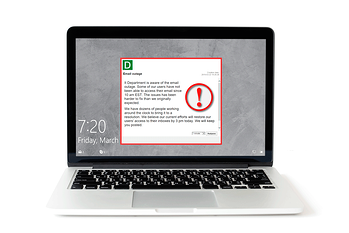 A great way to deliver this information is via DeskAlerts – an internal communications solution that delivers pop-up messages to employees’ desk tops in a disruptive way, making sure your message gets through. According to a 2016 report, 63 per cent of data breaches in companies took place as a result of weak, lost or stolen passwords. It’s recommended that best practices are enforced for all staff – passwords should contain upper and lower case letters, symbols and numbers and be changed at least every 60 to 90 days. By monitoring your user activity you can see in real time what is happening on your network and determine if the actions being carried out are in line with best security practices.